A sequel to a sequel to a film people were mildly entertained by fifteen years ago, there was no blockbuster I was less looking forward to this summer than Men in Black 3. The original, while fun in its own right, hasn’t aged well – a box office champion during a summer where Batman & Robin was its main competition. The sequel, rushed to theatres amidst a potentially looming writer’s strike, was charming in a “bus accident, no survivors” sort of way. Which is why when Men in Black 3 was first announced, a collective shrug emanated throughout the annals of film fandom. Aside from director Barry Sonnenfeld and star Will Smith, both in desperate need of a hit, no one was burning with the desire at the prospect of more Men in Black. Except perhaps Sony, who saw an excuse to slap 3D on something familiar and got half-hard at the thought of inflated ticket prices. So whether it was lowered expectations, its ability to distract me from my humdrum existence for the duration of its brisk 106 minutes, or perhaps a flimsy combination of the two – I was pleasantly surprised just how entertained I was by Men in Black 3. Ironically, there’s a lot of wrong happening in MIB3. The plot is a nonsensical discombobulation of skits. And surprising after three films, there’s now zero chemistry between Tommy Lee Jones and Will Smith – no sense of history the characters have shared. Tommy Lee Jones’ scenes are brief enough that they could have been shot as he drove past the set some afternoon. His body is there but his presence is never felt. Even Smith, usually a charismatic performer, doesn’t begin to find footing until Jones quite literally disappears from the film. We start in present day. When nefarious alien Boris the Animal (the excellent Jemaine Clement) escapes from Moon prison, he immediately sets his sights on revenge against Agent K (an old Tommy Lee Jones) for imprisoning him in 1969. 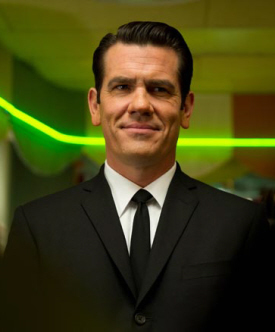 By traveling back in time to 1969, Boris is able to erase K (a youngish Josh Brolin) from history and bring about the invasion of his people to Earth. The only person who notices K’s absence in the present is of course partner J (Will Smith). J travels back to 1969 and teams with a young, spry K to thwart Boris’ plan. Do you think they’ll succeed? No, seriously, do you? Rick Baker's retro-style FX work is a welcome inclusion. To its benefit as well as its detriment, MIB3 is content to make the rules up as it goes – not at all concerned with logistics or coherency. How is J even an agent if K died before he could recruit him? Because movie. Both Agent J and Boris arrive at 1969 at the exact same place. So if J arrives before Boris to prevent him from murdering K, why not just sit tight at that spot for Boris to arrive. Innocent people get slaughtered because this never even occurs to J – a pretty glaring plot hole considering the entire movie is predicated on thwarting Boris’ scheme. Why not just camp out and shoot Boris in the head? Because, once again, movie. Backstories are retconned and retooled for odd, silly payoffs. When J (out of nowhere) mentions that he never knew his father, you can be sure the film’s going to rectify it later on. MIB3 reaches for a really tender payoff that is so dumb, so forced, and so out of place that you’ll wish K was deneuralizing it from your memory. Let’s just say J’s dad turns out to be a hero, and everyone’s totally cool with him abandoning his child in a car on beach while he goes to work. It’s there, it’s in the film, and no one seems to mention or be at all disturbed by it. Father of the year, that guy. So what works about the film? A lot, surprisingly. Nothing gels in the present day, but once Will Smith hooks up with a game Josh Brolin as Agent K, all the tedium of the beginning melts away. Brolin nails what amounts to an eerily good Tommy Lee Jones impression. An actor’s piece this is not, but Brolin is able to disappear into a role that serves what Jones has already accomplished as K. Smith, stiff and rigid with Jones, is freed up to do his thing and the rapport established by the two finally gives the film a pulse 30 minutes in. Taking the MIB concept and setting it in 1969 also provides mileage and a quirky tone that resonates. A cameo by Bill Hader, as a notable artist of the time, genuninely connects. Alice Eve is stunning and kitschy as a flippy sixties chicklet. Most importantly, FX wizard Rick Baker uses the setting to do some amazing practical work, no more evidenced than in the scene where Smith visits the MIB headquarters of the time. The makeup in the film is top notch, colorful, and some of my favorite Baker work of all time. It stays in the background, but the film is still littered with Baker’s touch. 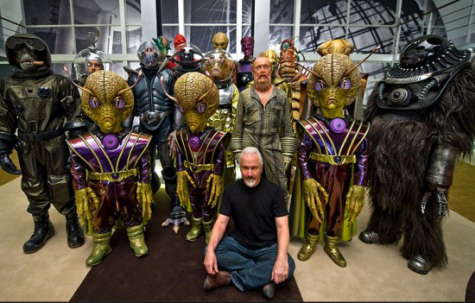 It, not the 3D, is MIB3‘s best visual asset – inspired no doubt by alien design work from the 50s and 60s. 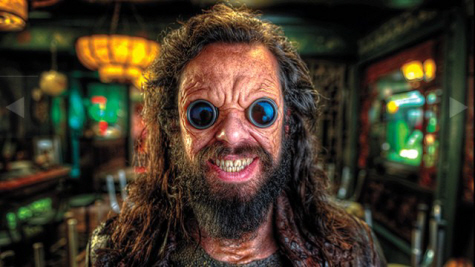 Jemaine Clement as Boris is the film’s best performance. Villains have always been this franchise’s weakness – so he’s a welcome addition to the fold. Vincent D’Onofrio’s Edgar had trouble finding footing in the first film. The less said about Lara Flynn Boyle, in any film (but especially MIB2), the better. But Clement’s Boris has real weight and provides some of the best gags in the film. His laugh alone was enough to crack me up a few times. To Clement’s credit, his best scene in the film is opposite himself. His beef with Agent K is a legit one, making him a worthy antagonist and an especially fun one to watch. He’s undoubtedly the most pleasant surprise of the film. Clement is the MIB's best villain to date. I don’t love MIB3, it’s certainly not an enduring classic of any sort. To my astonishment, it still surpasses all expectations to be the most delightful film in the franchise. Sonnenfeld feels back in step with his trademark quirkiness here, which he’ll hopefully take with him to something more original next time. Still, I’ll never need to revisit these characters again, but I’m glad I did once more. 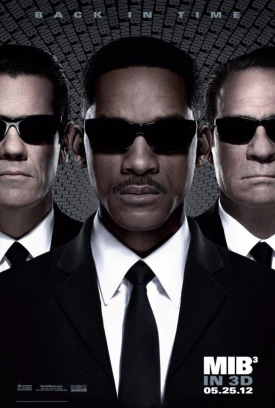 A big, dumb, fun alien blockbuster, Men in Black 3 might be the best surprise of the summer.